As we approach the end of July it seems things in the Commercial arena are ramping up, this week in space. The first of the next generation of Falcon 9 rockets have started to arrive at the Vandenburg launch site. The v1.1 vehicle has several significant upgrades that pave the way for heavier payloads to be delivered to orbit. Included in the upgrades is a longer core stage which will hold more fuel, upgraded Merlin 1D engines which are easier to manufacture and provide more thrust. The first mission for the new version of the rocket will also be the first to include a payload fairing. Check out the full article here. This week Boeing released a preview of the inside of there CST-100 spacecraft. As part of the preview two NASA Astronauts Serena Aunon and Randy Bresnik conducted flight suit evaluations inside the vehicle. Check out the full article here, including video. This week NASA dropped the test Orion test vehicle from the highest altitude yet and also tested what would happen if one of the parachutes failed to deploy correctly. The test was success and the test vehicle landed safely with just two of the three primary parachutes. For more information check out the full article here. This week the reliable Ariane 5 rocket successfully delivered two more satellites to orbit. Check out the full article here. A hot fire test performed recently showed that Rocket Engine parts created via a 3D Printing process rival those created via more traditional methods. The injector which was manufactured in 3 weeks compared to 6 months and half the cost, was subject to 6000 degree’s during the test and showed no difference in performance between the parts. Check out the full article here. 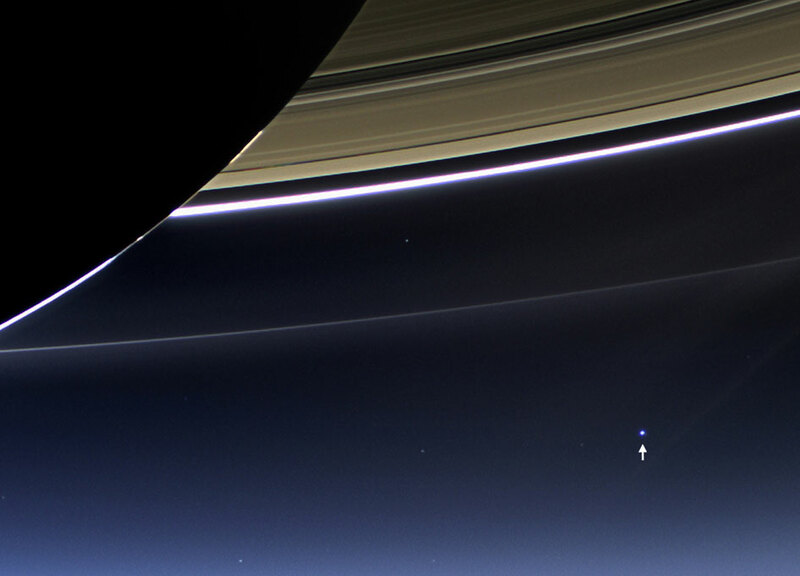 This week the Cassini Spacecraft in orbit of Saturn took a picture of Earth.